“Are you blogging for your business“. Some of you may have answered yes, but I’m pretty sure that the majority of you would have answered a big fat NO. Whatever the case may be for you and your business, you’re obviously here for one thing. To learn how to start blogging for your business, right? Well, in this post you’ll learn how to make the best possible start with your small business blog yet. Below, I’ve compiled a list of all the top articles I’ve written on Magnet4Blogging that covers most of the things you need to know about small business blogging. In addition, I am also providing some extra tips and advice for you here, to help you get the most from your small business blogging efforts. Are you ready? Let’s get cracking. #1. Why should you blog for your business anyway? Does blogging for your business really work? The short answer is; YES it darn well does. Blogging drives audience interest, it can help your business build trust, credibility, and most importantly, it can help boosts conversions by creating more leads and sales to your business. What more could you possibly want for your business? Oh, and of course, it’s totally effective as we talked about in the last post. Your business can’t afford to NOT have a blog. You’re probably wondering if blogging has helped my business in anyway? Well, my business started as a blog operation, so yes, I would absolutely say blogging has helped my business grow. If you’re still not sure about the whole blogging thing, please check out this post to discover the true benefits of blogging for your business. I share with you some startling marketing statistics that will make you realize that you HAVE no other choice other than to take small business blogging seriously. At least if you want your business to stand out from your competition, continue to grow and profit. #2. How do you set up a blog for your business anyway? I always recommend businesses integrate a blog into their business website. This makes more sense as the website will benefit greatly from an SEO standpoint. However, this is not always possible because a lot of small businesses have their website set up on various types of platforms, other than WordPress. WordPress is by far the most complete blogging platform available, as well as the best platform to build a rock solid website. If your business website is not set up on WordPress, I’d highly recommend launching your small business blog on a hosted-WordPress platform nevertheless. Check out this useful post, (How To Start A WordPress Blog From Start To Finish). Alternatively, just check out the video tutorial below for guidance on how to set up a blog with a web host. 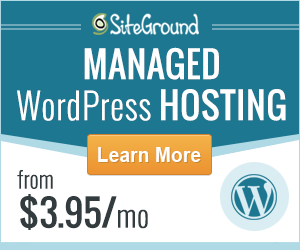 In the video, I use SiteGround as my choice for shared hosting. You will learn step-by-step how to create a blog, from finding a reliable web host, choosing a relevant domain name, to installing WordPress and recommended plugins. 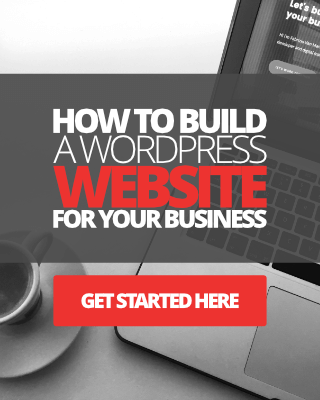 If you’d like to learn how to create a small business website with WordPress, click here. #3. 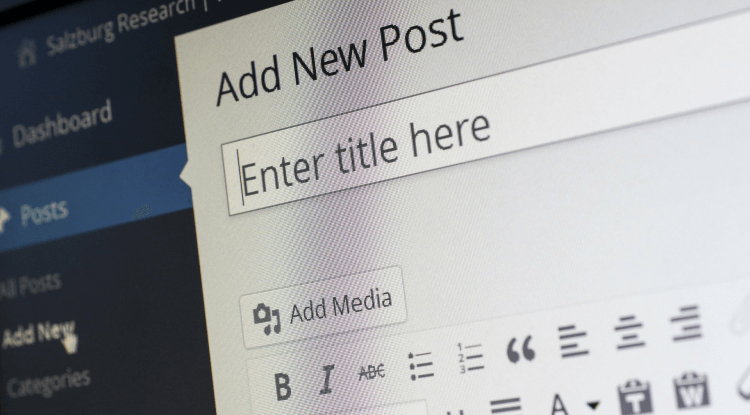 What type of content should you write on your small business blog? This is where most businesses fail at blogging. Most marketing people that DON’T blog think that a blog is simply a tool used for sharing news about their latest offers, products, and services. A tool for getting people to buy from them. A blog is able to do much more than that. A blog is a way for businesses to earn audience interest, build trust, earn customer loyalty, that definitely comes before sales and profit. Here are some ideas of what YOU could do with a small business blog, asides from preaching about your latest offers, products, and services. Solve problems – Highlight a particular problem, and then show how that problem can be solved using one of your products or services. Case study articles are perfect for this. Create ‘how to’ guides – ‘How To’ guides are extremely underrated because everyone needs them. You could use your small business blog to create as many tutorial articles related to your industry as possible, again solving problems for your target audience. Promote videos – Remember that blogs are more than just pages of linear texts on the web, they’re also great for promoting visual content and videos. If you have a YouTube channel for your business, consider promoting some of your company videos into your blog posts. Remember that a lot of people don’t have time to read content these days, and most of us have mobile phones, so viewing and consuming content on the go is extremely common for a lot of people. Videos are perfect for providing content to audiences who are constantly on the go. Share insights, statistics, and data – Data and statistics can give a lot of weight and authority to your articles and your blog. Check out this post for top tips on how to use relevant statistics in your blog articles, as well as where to get statistics from. My advice to you would be if you’re setting up a blog for your business for the first time, is to make a list of all the topics you could write about related to your business or industry. Forget about selling, just write a list of post ideas you cold write that would benefit your target audience. You could start by writing some creative headlines. To help you with this, I created a resourceful post with over 100 blog post headline title ideas to choose from. You can check it out here (100+ Magnetic Blog Post Headline Ideas For Small Business Bloggers). #4. 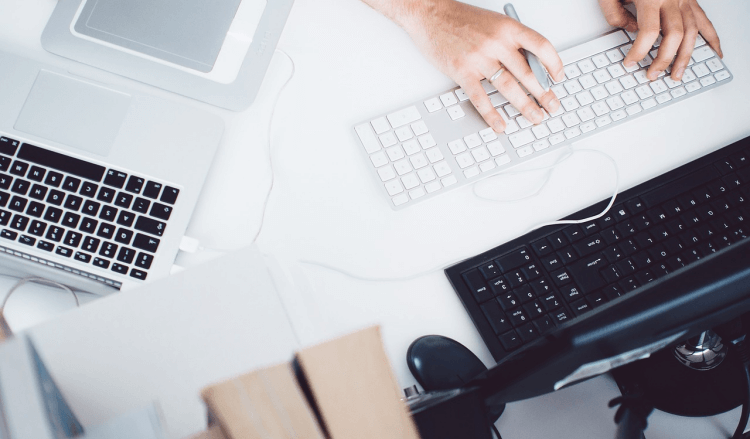 How often should you update your business blog? How much time do you have to dedicate to blog writing? What type of industry is your business in, primarily? How much value can you actually provide writing a certain amount of posts per month? One other piece of advice I would like to give you is this: Don’t create a publishing schedule that you can’t adhere to. I’ve personally found that writing 2 to 3 posts per week works just fine. I would start with 1 post per week, and if you can write more posts, go ahead and increase your frequency. #5. Where can you get help and advice on small business blogging? One of the best ways to get the most from your small business blog is to get help from other expert bloggers, as well as businesses that are already using blogging to grow, market, and promote their business. Check out this post for tips from 13 industry leading bloggers for tips on website conversions (13 Bloggers Share Their Number 1 Website Conversion Optimization Tip). In addition to that post with expert tips, check out this list of 10 of the best business blogs to follow. Each one of them has something unique and valuable to offer, and you can learn a great deal from following top influencers, right? #6. 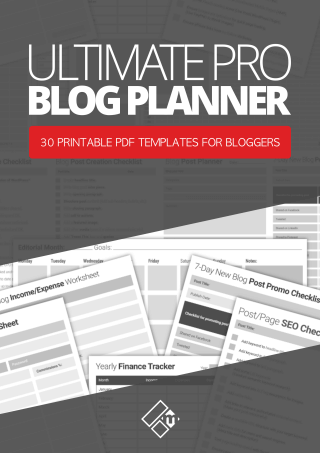 What tools can you use to make blogging for your business more effective? So we’ve looked at some critical things you need to do to get your small business blogging off to a rocking start. Let’s now take a look at some of the tools available to help you rock even louder with your new company blog. 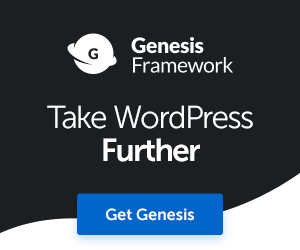 WordPress – The only blog/website building tool you’ll ever need for creating your small business blog and for doing much more. 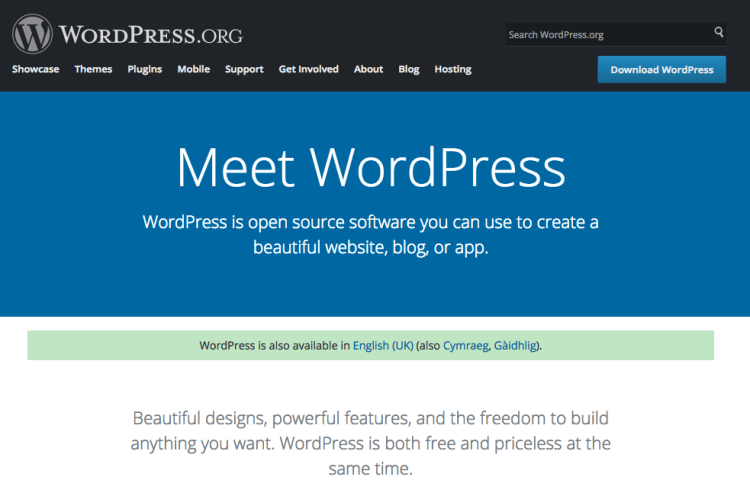 Learn more about WordPress here. Thrive Leads – A powerful email opt-in form builder and list building plugin. Thrive Leads comes with a ton of awesome features which you use to create audience or category specific offers. You can learn more about here. Thrive Ultimatum – A powerful scarcity marketing plugin designed to help you promote time-sensitive offers to your business blog readers. A great tool for boosting your conversions. Learn more about Thrive Ultimatum here. Thrive Architect – The best front-end, visual editor plugin for WordPress. Use this tool to create your landing pages. SEOPressor Connect – A Feature-packed and complete premium SEO plugin for WordPress. You can learn more about SEOPressor here. So peeps, I hope this post has provided you with enough reason, information, and resources to help you get your company blog off to a cracking start. Remember, I’m here to help you the best I can, so don’t ever hesitate to get in touch with me and ask me a question. I’ll be sure to update this post in the future with more tips and resources. For now, though, enjoy. In this day and time it’s very wise to have a blog to add to your branding. When you focus more on your audience and winning them over, you will definitely see more conversions in subscriptions and sales. It’s not much different in the offline world as it is in the online world. The only difference is that the online world gives you more global access. Great share Fabrizio! Have a great week! Great to see you hear again bro. You know the importance of blogging for business growth too well Sherman. The internet really does open up new opportunities for businesses, regardless their size. It’s a wonderful thing I think that can easily be taken for granted. And those businesses using blogging smartly are the ones winning for sure. Have a great weekend too mate. Welcome, I’m so pleased you enjoyed the post. Yes, I did share an interesting statistic in a recent post, which was According to impactbnd.com, on average, a company only has to write between 21 and 54 blog posts to potentially increase their traffic by 30%. Even over the course of 12 months that only works out to 1 post per week. Have a great weekend and hope to see you here again soon. Awesome post. Blogging is the best option to convey our knowledge and market the products. Most of the business websites have separate blog pages for making awareness about the products and giveaways. It clearly indicates that blogging is beneficial for them in some or another way.